Jessica and James were married on a beautiful summer day in June. 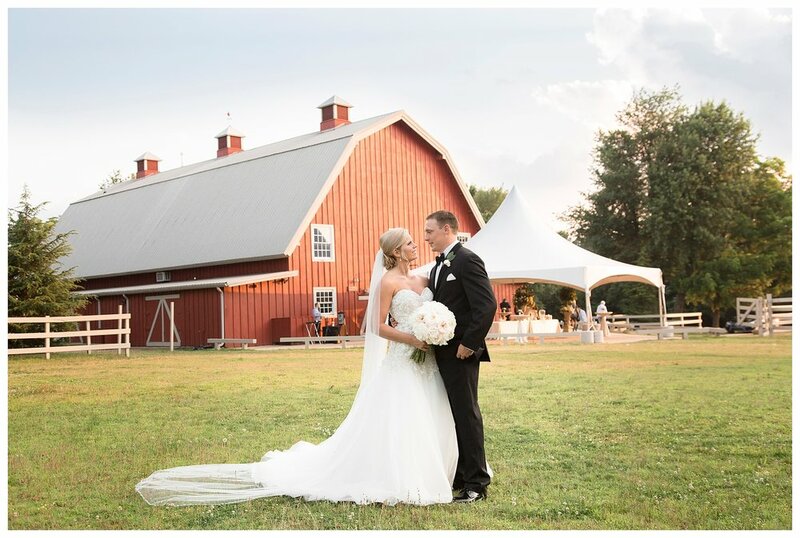 They chose Pratt Place Inn and Barn for their wedding venue, which couldn’t have been more perfect. 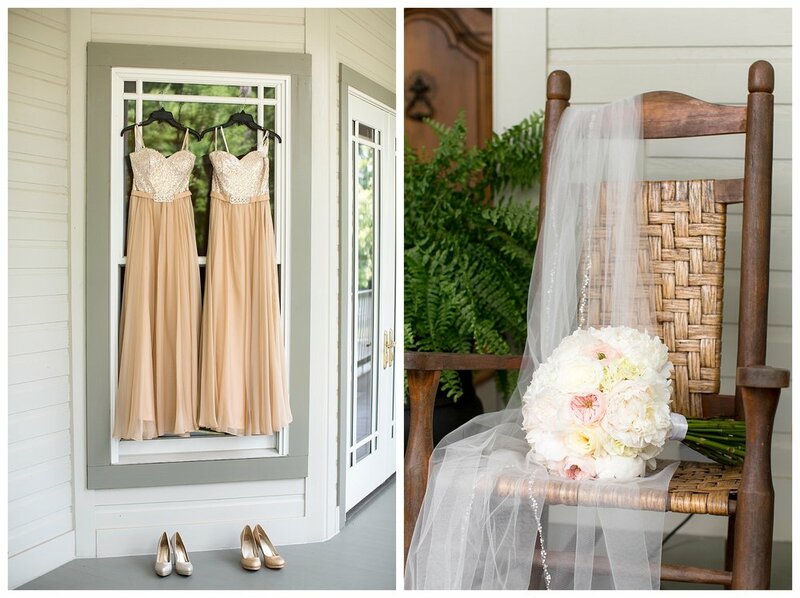 With the help of even coordinator Keith Taylor, everything for their wedding and reception looked classy and elegant. 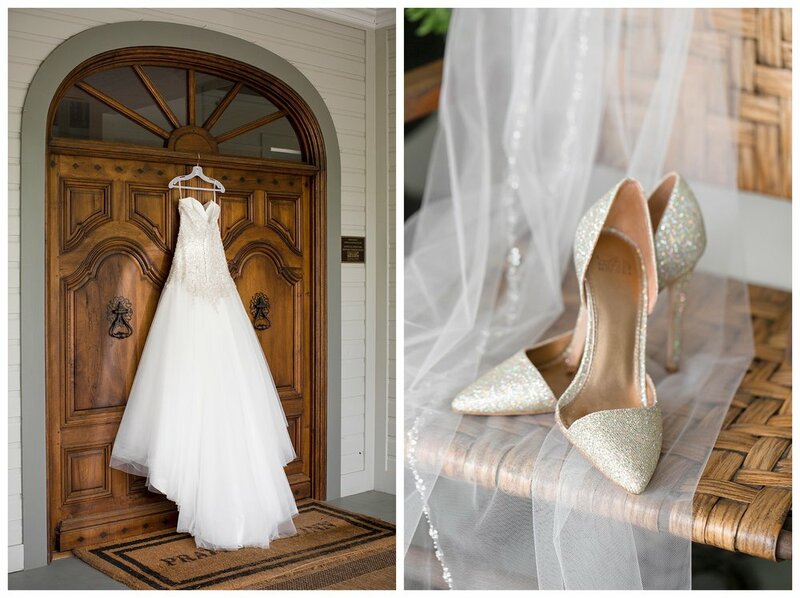 Jessica and James chose gold tones with lots of sparkles for their wedding colors. They knew that the interior of the Barn was fairly dark and rustic and that the gold tones would really brighten up the place and add a more elegant feel. They had gold tablecloths and chairs and gold-rimmed chargers. 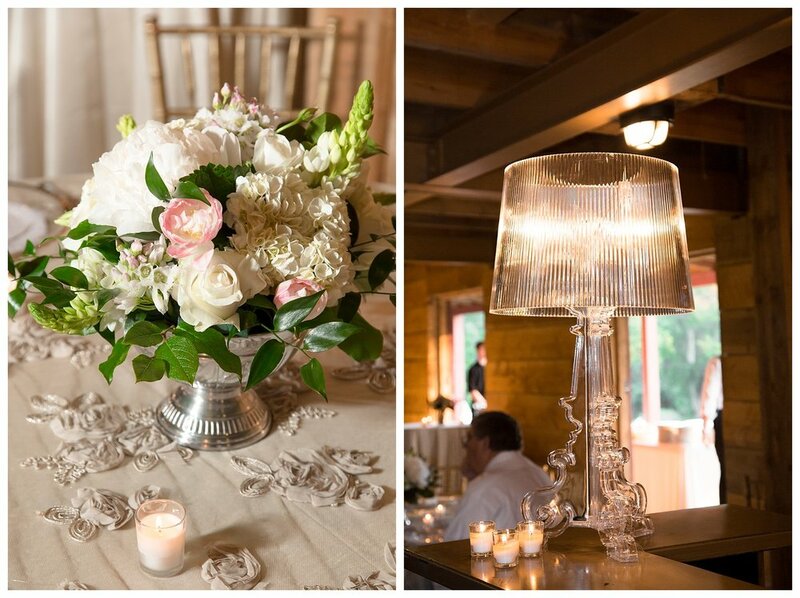 Their flowers were all in shining silver vases which also added to the elegant atmosphere. To help brighten up the barn, they added a lot of additional light. There were candles on the tables, clear lamps around the barn, and twinkle lights on the twigs at each post. Pigmint Florist added leaves to the twigs make them look like tree branches. On their wedding invitations, Jessica and James had a pineapple monogram. They wanted to incorporate it into their reception décor to add a fun personal touch to the Barn. They had circular cards printed with the monogram on it, which they placed beneath each charger on the tables. It was a beautiful day with no mishaps! Jessica commented that Keith Taylor made the day perfect! He is well experienced, organized, and really knows how to decorate. Congratulations, Jessica and James! It was truly a joy to be a part of your beautiful, elegant day!